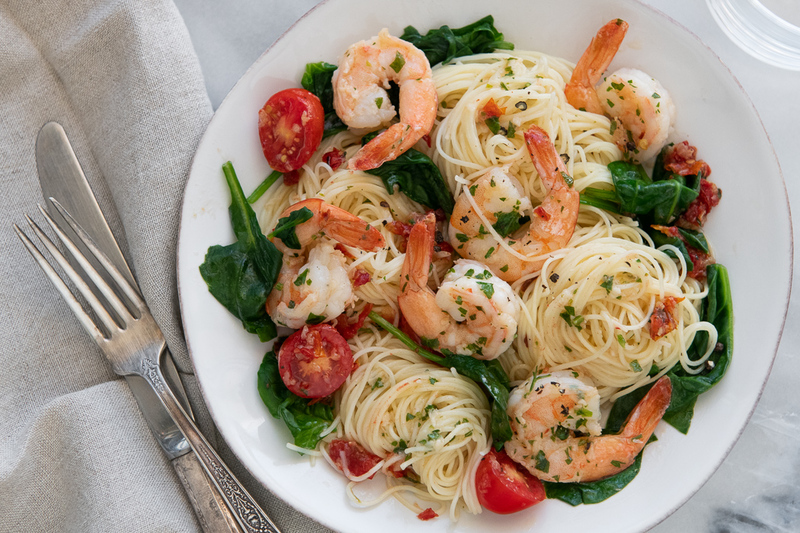 Garlic and shallot star in this decadent seafood pasta classic with angel hair pasta, Texas Gulf shrimp, fresh spinach, crimini mushroom, roasted shallot butter, and chef’s special Garlic Magic sauce, featuring marinated tomato, garlic, and parsley. 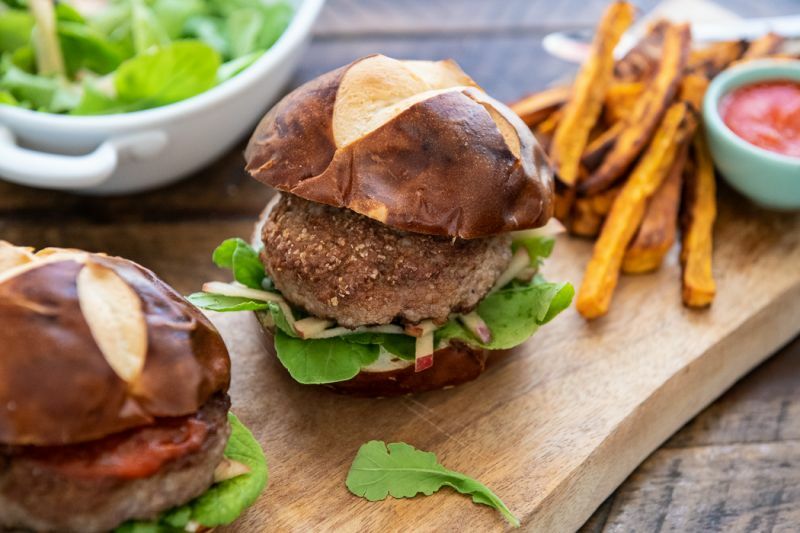 Bring the pub to the kitchen with this juicy pork burger topped with arugula-apple slaw on a tender pretzel bun. No burger would be complete without fries – sweet potato fries are served on the side with a pickled tomato ketchup. 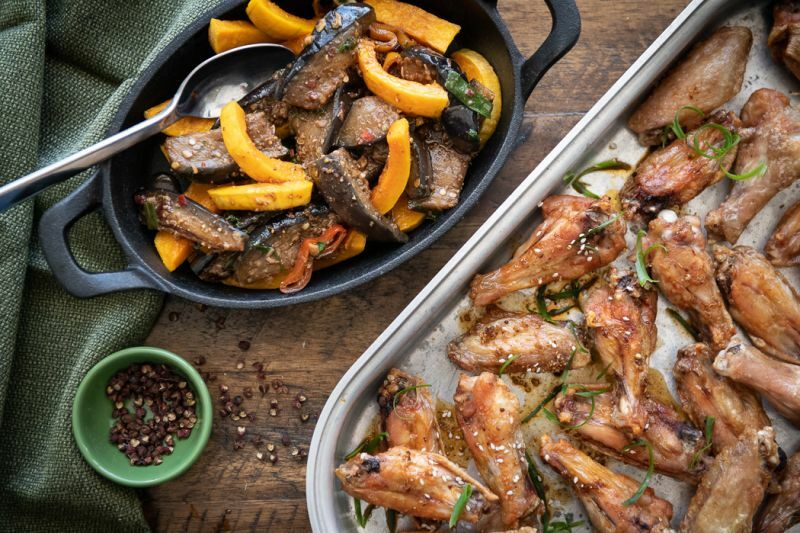 Chicken wings are baked to crispy perfection and tossed in a ginger-sesame vinaigrette for a Whole30-friendly yet flavorful wings feast. 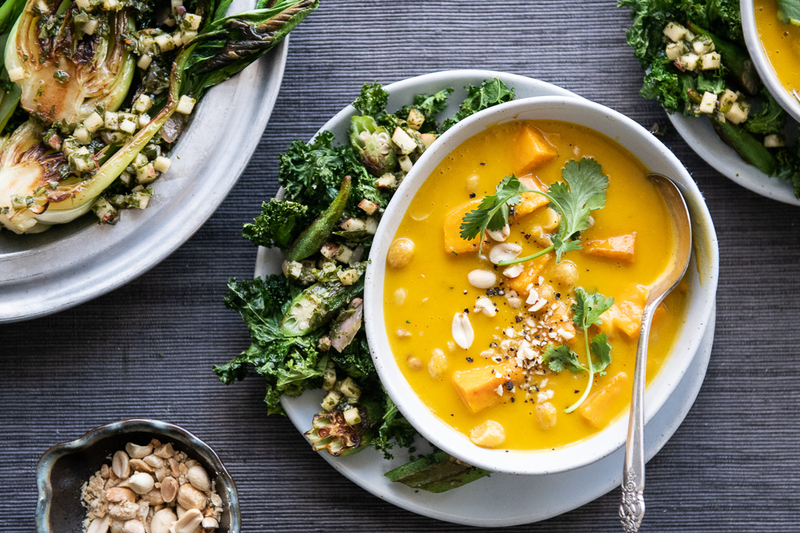 A side of mouthwatering eggplant and winter squash is served on the side for a hint of sweet and spicy. Back by popular demand! Della Casa Pasta’s umami-rich mushroom ravioli is tossed with fresh local spinach and house-made carrot butter for a veggie-forward yet decadent vegetarian dinner. Served with a light salad of crisp lettuces tossed with tarragon vinaigrette.